It was the bloodiest day in the Corps’ history since World War II, when Marines fought to secure Iwo Jima. The suicide bomber detonated his explosives, which were equivalent to 12,000 pounds (about 5,400 kg) of TNT. The force of the explosion collapsed the four-story cinder-block building into rubble, crushing many inside. Do you remember where you were at the time? I was asleep in the Marine Barracks at Fort Bliss (yes we had a detachment on an Army post at the time). 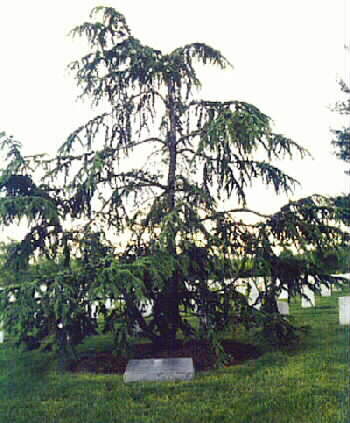 This year I had the honor of visiting Arlington on a hot and humid July day, and seeing the Lebanese Cedar planted there. I remember my friends from bootcamp that were assigned to BLT 1. I remember them and my other fallen brothers on this day. Please do the same. This entry was posted in GWOT, Marines, USMC. Bookmark the permalink. Thanks for your service, and for reminding us of this tragedy. I do remember where I was, and it wasn’t anywhere near as important. I was attending a PME electronics school at Lowry AFB in Denver, Colo. with about 35 other Marines. 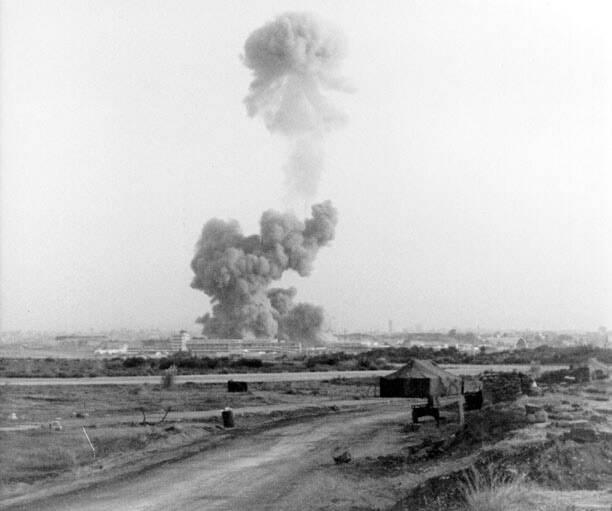 When we heard what happened, the 1st Sgt.’s office was deluged with young Marines (I was one of them) screaming to transferred to an infantry or ground unit to immediately go to Beirut. The platoon Sgt.s and senior Marines had their hands full after the 1st Sgt. called them all on the carpet to calm us down and make us stay in training at the command. At the time PMEL school (precision measuring equipment/calibration) was a critical MOS (6493) and we had a rock rate of about 60%. It was attended by US troops and NATO officers, including officers from Turkey and Saudi Arabia. Needless to say those officers disappeared after the attack. I also had some of platoon members from Parris Island with the 1/8 BLT who never came home, or came back half-way.